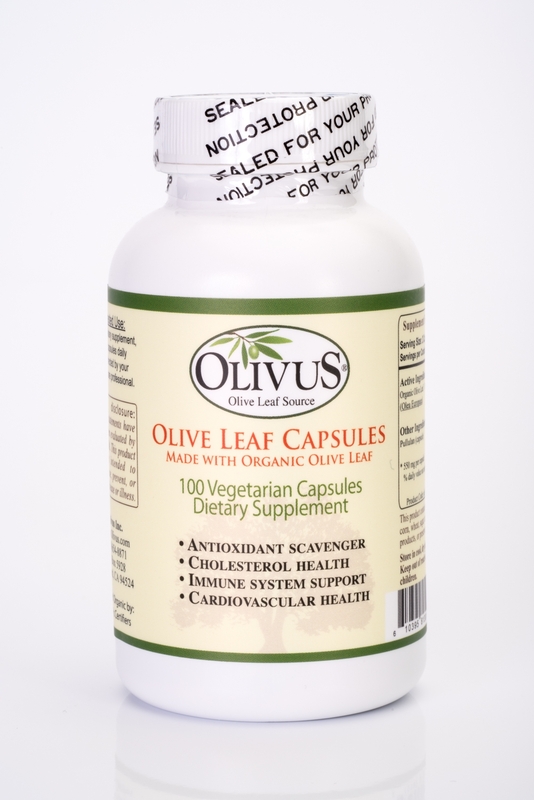 Use OliveLeafNatural veggie capsules to keep a steady supply of certified organic olive leaf in your diet for consistency (important). Our olive leaf is imported from Spain, so conforms to European standards much like US standards. All leaf is third party tested and certified organic according to USDA standards and documentation. Made with Pullulan (rice based) vegetarian capsules which is the only capsule material available for the organic certification process. The capsules are gluten, yeast, and preservative free. Store in a cool, dark, dry area for a shelf life of up to three years. Recommended Use: 2 capsules daily with water. Enjoy olive leaf for its health, energy, and cardiovascular properties. Employ the ancient olive Tree of Health as a scientifically proven immune system booster. OliveLeafNatural capsules are certified to be made with organic ingredients powerful antioxidant and free-radical scavenger. Q: How much oleuropein is in OliveLeafNatural Capsules? A: The amount varies between 1-5% since this is an all natural organic capsule. It is not standardized as with extracts. Q: What is the advantage of this type of capsule? A: Being organic eliminates any harmful manmade polutants from pesticides and fertilizers. Being unprocessed powder from olive leaf guarantees all constituents of the leaf remain in the product unlike olive leaf extract which maximizes oleuropein but may reduce or eliminate other constituent such as hydroxytyrosol, tyrosol, and other healthful compounds. I haven't had an outbreak since I began taking OlivuS capsules last year. I've been taking Olive Leaf for a few years now but switched from a popular vitamin store brand due to other fillers found in them along with the inconsistency with stock availability. Not only are OlivuS capsules more effective for me but the availability is more consistent and the product is delivered in just a few days! Feeling a slight increase in energy. I intend to take olive leaf extract long term so I've started with these and will purchase the max capsules 300 next. I will post another review in a few months. I've been taking these for a few months and I notice that while people around me were coming down with the cold, I had been able to stay healthy. I've been telling our kids to take these, too. After doing tons of research on benefits of the olive leaf I found this website. I am very found of natural methods and love this product. I can see a difference in my body. My dog gets a sprinkle of half a capsule every couple of days too. It shrunk the random growth she had on her leg over a period of time. Thanks for a quality and safe product. I bought this in capsule form for my husband and myself, and for my dog in powder form. For us, it is for immunity since this quadruples the dosage of Vit C. We are prone to getting any virus permeating ! The antioxidant and CV properties are impressive as well. My dog suffers from allergies and hopefully, this will abate her symptoms. First 2 weeks are good , I think there is decreased licking of paws, rubbing snout, reverse sneezing, all the s/s of allergies. This is a good start and hopefully will continue. Ordered a bottle for my daughter due to her continued colds and run down feeling. I love these capsules. I take them year round and I can honestly say I haven't been sick or anything. I went to the doctor and he asked me how do I stay so healthy; I had to tell him about these and that I am also Vegan. His response was...keep up the good work, see you in a year! First time i have used this product from this company, but so far things have been really good. I suffer with Lichen Sclerosis and Organic Olive Leaf Capsules were a recommended product for me. I have taken them for one month and I am happy with my improvement so far. I am confident to order the 1000 count bottle now which will give me a greater saving. I have taken Olive Leaf Capsules for about a year. They have boosted my immune system and I have not been sick or gotten colds from family members. I believe in organic Olive Leaf. Having a year-round ear infection and allergies is overly burdensome...however since taking Organic Olive Leaf I haven't have any single attack of my allergies as well as NO ear infection since. It is now my natural remedy without the use of antibiotics! Really satisfied with this product! 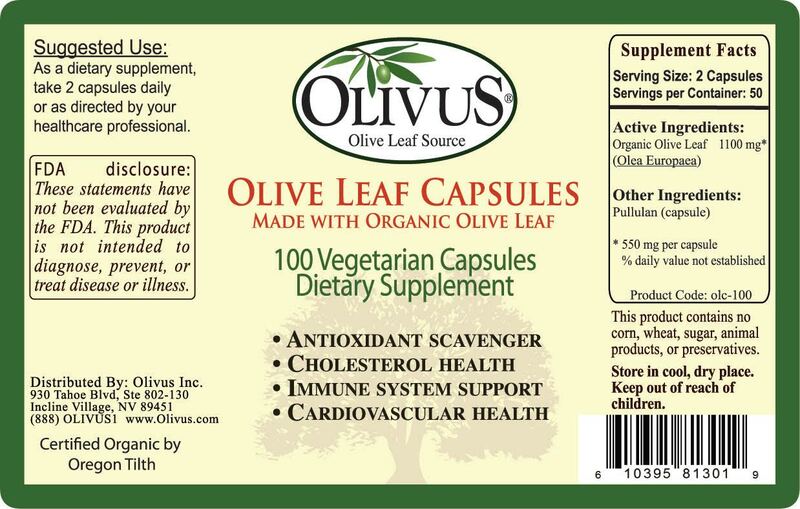 I have been ordering olivus olive leaf extract for the last 2 years and I love it. It is very effective because I haven't been sick in forever. I would definitely be buying this product again. I have used this product for a couple months now. I like it. I feel it is helping me stay healthy. No colds and I am thankful for that. I will continue to buy. Tried Olive Leaf as a supplement to help build up my immunities. I've been taking this product for the last two months and so far I have not had any colds, allergies yes, colds no. I was searching for a source of organic olive leaf. I have been using olive leaf for years to nip a cold in the early stages. I was delighted to find Olivus and I am very, very happy with this product. Since I purchased my first bottle of olive leaf I notice that I have not been getting sick. It has also made my skin glow and clear. I have more energy than I did before. It also has lowered my blood pressure. I will keep a bottle in my home all the time. Everyone should be taking this product! I think it has helped my body fight off colds and allergies. I haven't been sick with simple things like colds since I've been taking it. I think it is great! I have experienced great results in the reduction of my blood pressure and also better control of my glucose levels. I will continue to use this as a daily supplement. Since my family and I have been taking olive leaf capsules, we no longer have to stay on allergy medicine or go to the doctor over sinus infections. Olive leaf max helps to keep my husbands blood pressure down to normal so that he is no longer on blood pressure medication. We can't do with out our olive leaf. We love this company. 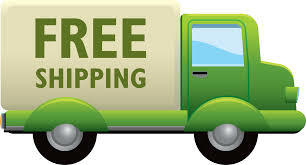 They ship so fast, and their products are wonderful!!! Q: How does the Olive Leaf Capsule react with High Blood Pressure Medicines? Hydrochlorothiazide is the medicine, I know this will help but I am just worried about if there will be any side effects? Thank you! A: It has been shown to interfere in research studies. When a doctor prescribes blood pressure medication they dose it according to the patient's condition. When the condition changes (adding a health supplement like olive leaf) the prescribed drug dose may no longer be the best. So the safe thing to do is consult your doctor before taking olive leaf. Q: HI! What is the percentage of oleuropein in your capsule formula? I'm considering purchasing. Thanks!!! A: The naturally occurring percent of oleuropein is 1-5%. A: For customers concerned about maximizing oleuropein we recommend OliveLeafMAX capsules or OliveLeafMAX powder extract standardized to contain 25% oleuropein. Our organic olive leaf capsules are better for those wanting the whole herb with all constituents and minimal processing. Both capsule types we sell use organic olive leaf but only this product retains the organic certification because OliveLeafMAX extract is processed using non-certified organic alcohol. A: We recommend consulting the doctor. He may recommend stopping antibiotic treatment. Without knowing the cause of your daughter's acne it is impossible to answer your question. Q: How many mgs. are in ea. capsule of your organic olive leaf? A: Each capsule contains 550 mg. You can read this on the label which is viewable as an image on the product detail page of each product. Q: Hi, I would like to know the percentage of oleuropein content? Many thanks. A: The naturally occurring oleuropein percentage is 1-5%. If you want more try our OliveLeafMAX capsules or powdered extract. Q: where are the leaves sourced? A: All our leaf is either sourced from Spain or California and is documented to be certified organic. Q: What is the oleuropein percentage? Q: Can this product be taken with other supplements such tumeric,coq10, mushroom extract , multi vitamin etc...? A: Olive leaf is safe to take with other supplements as you mention. We recommend not taking within an our of probiotics since olive leaf has antibiotic properties. Q: Where is the danger in this product? Why did it attract a Proposition 65 warning even though it is organic? Q: Does this particular item has oleuropeian in and if so what oercentage? A: Yes, the naturally occurring percent of oleuropein is 1-5%. A: We are not familiar with Walmart's brand. This product uses certified organic olive leaf to eliminate any harmful man made chemicals, and we use no fillers or flow agents in the capsule so you get 100% olive leaf. Most fillers are not completely safe and at best have no nutritional value. The only other ingredient is the capsule shell. Q: Is it 1 -5% oleuropein per capsule or per bottle? A: Actually it is both. The naturally occurring percent of oleuropein is 1-5% of whatever amount you are referring to. Q: Does this help genital herpes? A: We do not advertise our products as a cure or treatment for nay health condition. Some natural practitioners prescribe olive leaf extract for herpes and recommend our brand. Q: what percentage of oleuropein is in this product? Q: How much Oleuropein % is in the capsules? A: 1 -5% is the naturally occurring amount of oleuropein in this product and in our tea and bulk powder products. Q: what is the difference with oliveleaf Max? What pourcentage of oleuropein? A: OliveleafMAX Capsules have more oleuropein per capsule because they contain a concentrated extract. The organic olive leaf powder capsule is 100% pure unprocessed powder and not concentrated but an advantage is it has all constituents of the leaf whereas the extract capsules may not due to the extraction process designed to maximum oleuropein. Both capsules work well but you may prefer one over the other depending on who you listen to or which regimen you try to follow. The naturally occurring percentage of oleuropein is 1-5%. Q: Can children in the ages of 4 and 5 take this? A: We do not recommend our capsules for children so young. They would be considered a choking hazard. Please us a liquid extract (non-alcoholic), tincture (alcoholic), or bulk powder mixed in food or drink for young children. Q: Does this cure toenail fungus ? Q: does this product have soy in it? A: No soy is used. The capsule material is from a rice extract. Q: How much Oleuropein is in it please? A: This capsule product contains 100% organic olive leaf powder and contains the naturally occurring amount of oleuropein which varies from batch to batch because of many variable such as time of year leaves were picked, their age, tree age and variatal, and other factors as well. Tests support a range of from 1-6% and this is what can be expected on our organic capsules.